Described as the 'mother of all shower creams' and filled with organic cocoa butter and tonka absolute, Yummy Mummy will make your mum feel fabulous as she covers herself in the glorious shimmering purple cream! It also smells wonderful and mixes heavenly with The Comforter. This cute little bubble bar is ideal for any garden loving, busy bee mum who needs a little uplift! 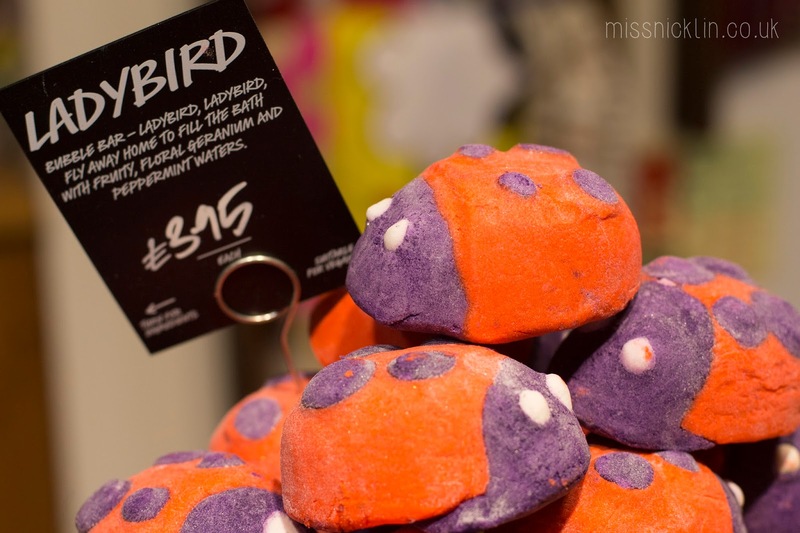 Just crumble it into the bath and let the peppermint and sweet geranium oil work its magic! With Sicilian mandarin oils and juicy tangerine combined, the Sunrise looks like a stunning orange soapy planet which will brighten up even the dullest of days! While it's a little bit more expensive than the average Lush bath bomb, the Humpty Dumpty provides 3 bath bombs in one. 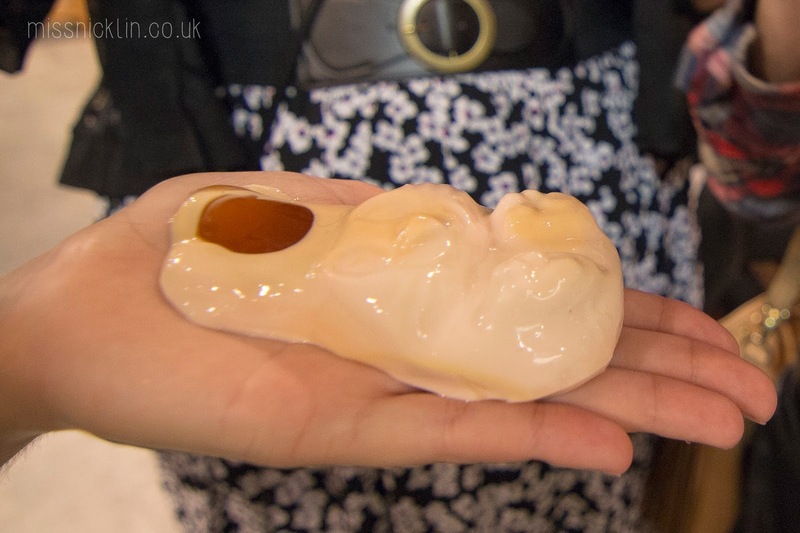 Once you've cracked open the shell you'll reveal a cute egg inside that'll sizzle in your bath. I had to buy one of these just for the novelty! 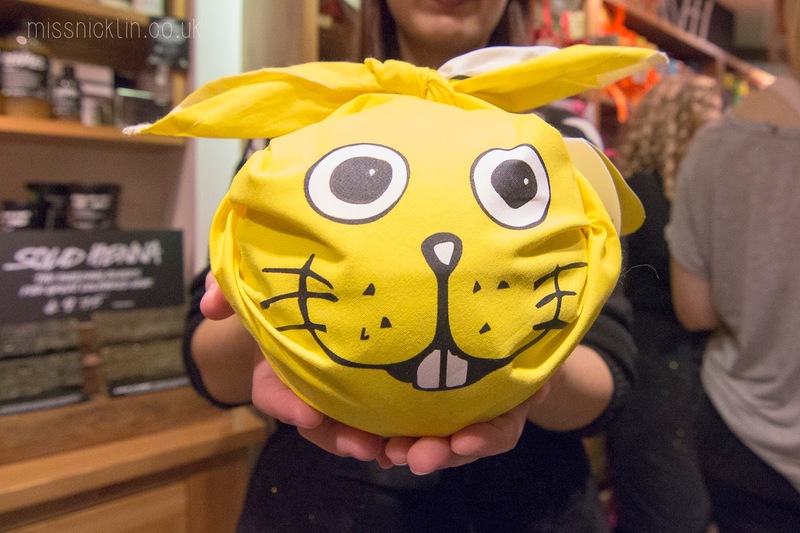 This bunny will have you hoping around your shower in no time (no, really! - in fact it's probably safer to use him while in the bath!) It's a bouncy shower jelly with revitalising Brazilian orange oil to brighten up a dull easter bath! This is the kind of egg hunt you'll want to be on come Easter! A luxury, toffee-scented bath bomb melt which will leave your whole body shimmering with gold once you're finished. 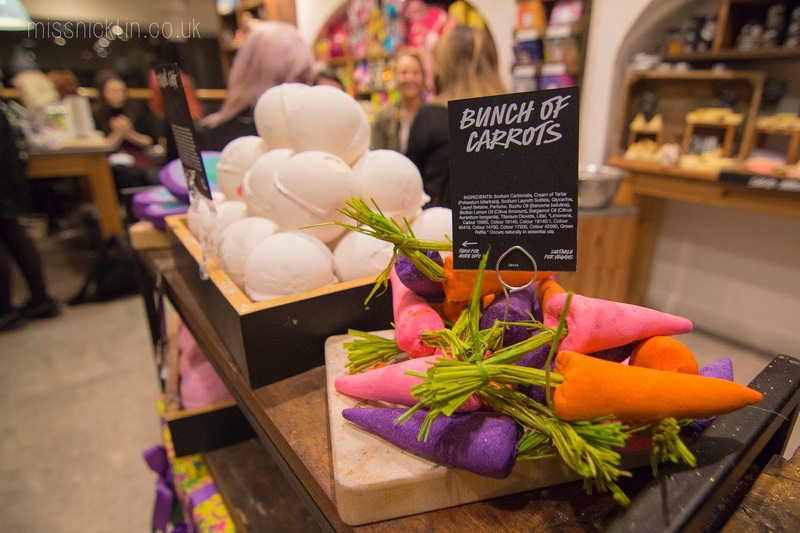 There are so many creative and unique gifts in Lush for their spring collection, I just couldn't include them all! I'd definitely suggest popping down to your local store and having a look at what they've got, the staff are always more than happy to help and give advice!